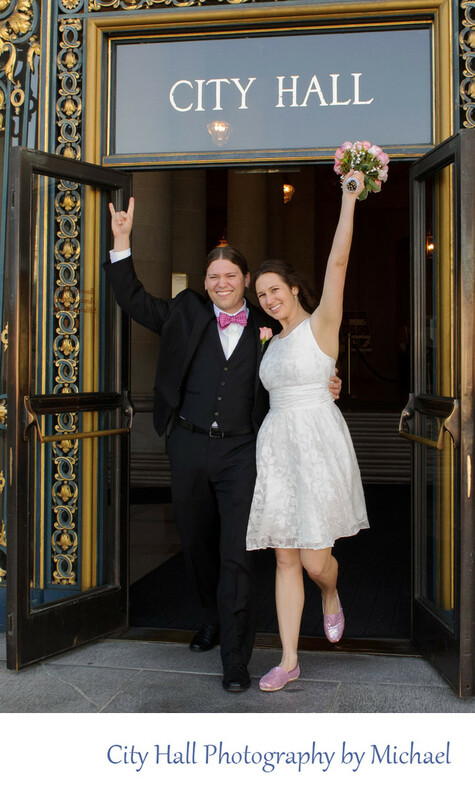 I posted this photo, because this was our first ever booked wedding at San Francisco City Hall. We had done a couple weddings for friends way back in 2010, but this was the first couple to find us on the Internet and book us. We have stayed in touch with them through Facebook over the years and they have very nicely referred 2 weddings to us. Definitely one of our favorite couples ever and so much fun. They have since started a family and are doing great. One of the truly great things about photographing so many city hall weddings is the relationships we have built over years with many of our couples. We have stayed in touch with many of them and enjoy seeing how their lives have progressed. We also always appreciate the referrals we continue to receive.